My wife and I had a wonderful weekend in the mountains. 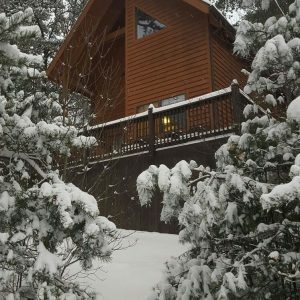 The cabin was beautiful and relaxing and we traveled to Linville Caverns, Grandfather Mountain, Blowing Rock, ate at mountain view restaurant, and visited Linville Falls and Mt. Mitchell ! All in one weekend. Definitely coming back in the summer or fall. Thanks for all the advice and help in your welcome packet.